Week 3 already?! That means next Wednesday will be my last summer style challenge post :( On the positive, I now have a whole set of outfits to wear the rest of the summer (thank you Alison). Fun Fact: Alison posts updates from the Style Challenge and I may or may not have been in her post this week. Go check it out here, it's kinda like where's Waldo, internet style. Bright pants. I originally had this one with my birkenstocks but figured in the name of style I'd rock the wedges. Luckily, I was able to wear them comfortably all day (wedges are great for that). oh tribal print top, how I love you. So fun. My newest print top. Another Forever21 find. Notice the color of my pants? Oh yeah, I braved the white AND didn't sit in chocolate or spill coffee on my lap! SCORE! Mommy makeover day!!!!!! so so much fun and I felt so pretty! Naturally, we got prettied up so had to make a night of it. Girl's night took it's toll. This tired momma was not posing for pics on Sunday. No way no how. Print shorts!!! Accessorizing with cuteness! 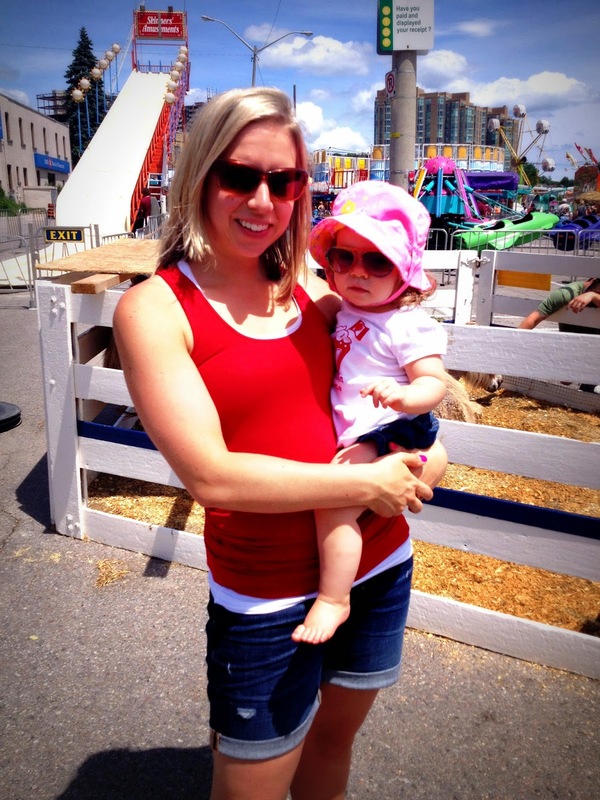 CANADA DAY! Had to rock the red today. I was supposed to wear a maxi but it was too hot to be all covered up. My Lovely Linkups!! Check out their blogs, they're all amazing! 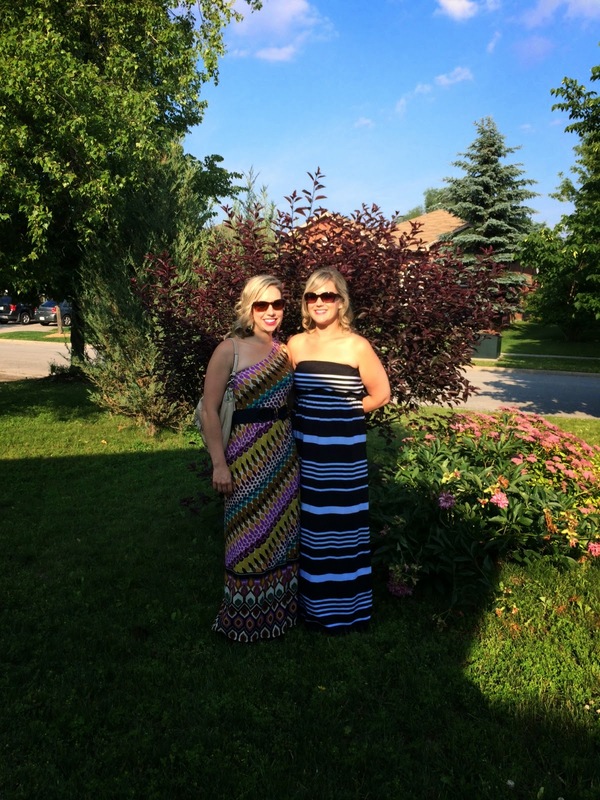 Linking up with all the ladies below for the Style Challenge. You look so cute in all your outfits! And talk about hot mama in your blue one sleeve get up... I think my favorite outfit this week is the first one. I love how you paired the coral pants with the purple shirt. It looks great, yet I would never have thought to put it together. I am a fan of color so it is something I hope to try in the future. I never would have put that together in the future, or worn this much color at all for that matter. I'm making it a point to branch out and not wear black and grey all of the time. You always put together the cutest outfits! Loving the print top with the white pants and the maxi dress you wore for girls night! thanks so much! That maxi is one of my favs but I always forget I have it. I like all these outfits-really love Wednesday's look it's fun and bright. You look beautiful in that Sat pic-love your dress!! So great getting dressed up and feeling pretty! You rocked your mommy make over girl! That dress looks perfect on you, I love the one shoulder look! 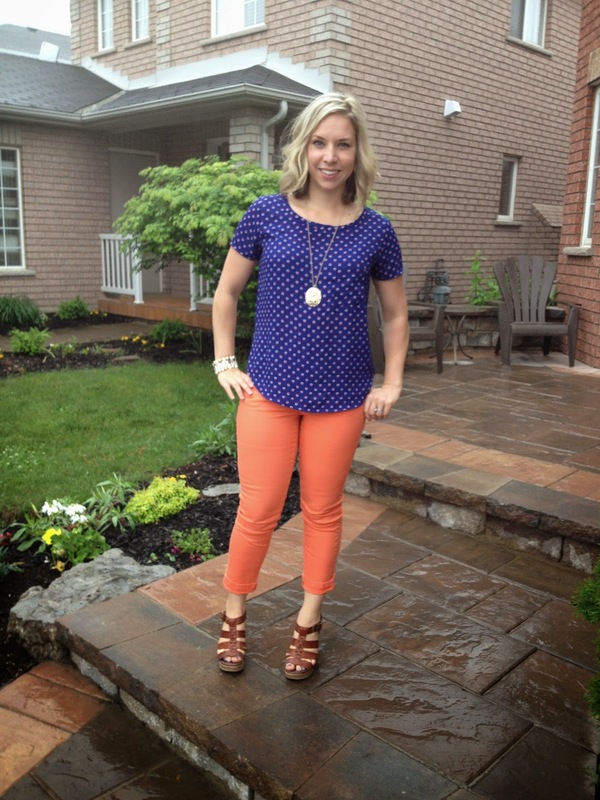 Also I'm loving your coral pants and navy top with the long pendant! So fun! And, I reach for flats way more often than not too, but those wedges are cute! thanks so much! It's actually a pair of pants they made me put on as a dress! 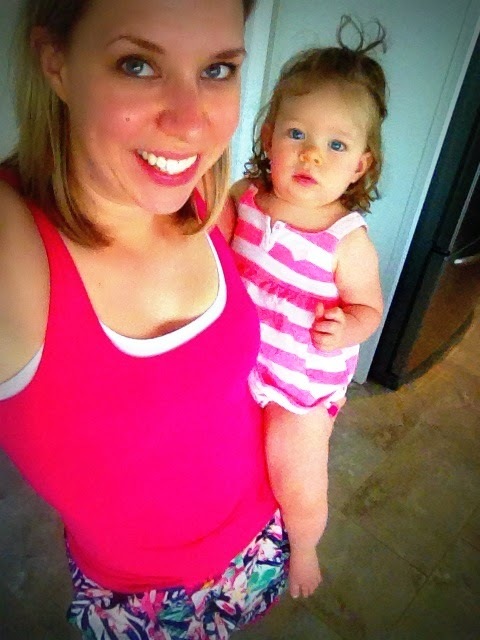 Such cute summer outfits! I'm really missing being apart of it this go-round but things just got to crazy so I had to drop it. Loving seeing everyone's blog posts though! I can't wait to see your mommy makeover pictures! You are stunning! Mommy Makeover Day?! You look fabulous! I really love your outfit from Day 1 and I think I have the same print shorts or similar to yours! I got the print shorts from H&M, I don't normally wear shorts but these were super fun! I also love your printed top! As always, you look great! Great looks this week Shaunacey! 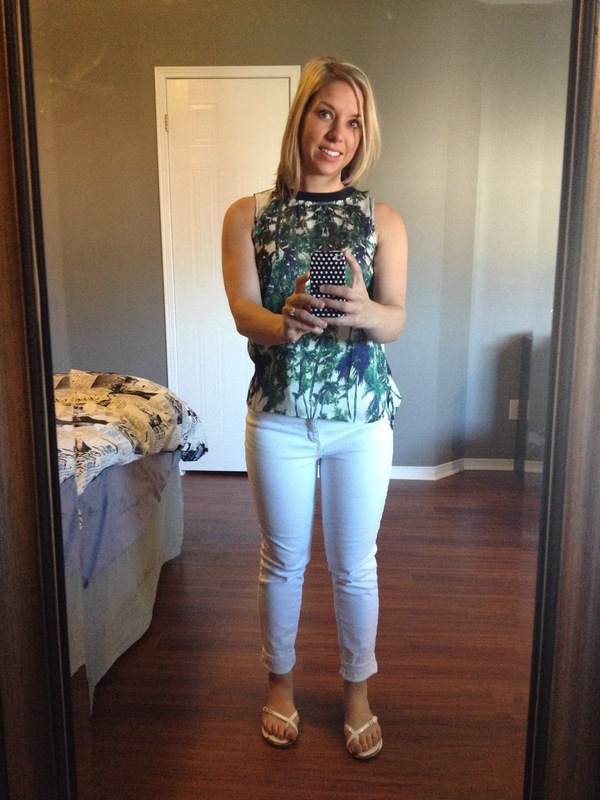 Love your printed top with the white pants!! Cute print shorts!! Your Mommy Makeover must have been a BLAST!! The one shoulder maxi is AWESOME!! Have a great weekend! So many cute looks. Sounds like you had a fun week! such a fun week and thank you! You have such great taste! I really like all your outfits!